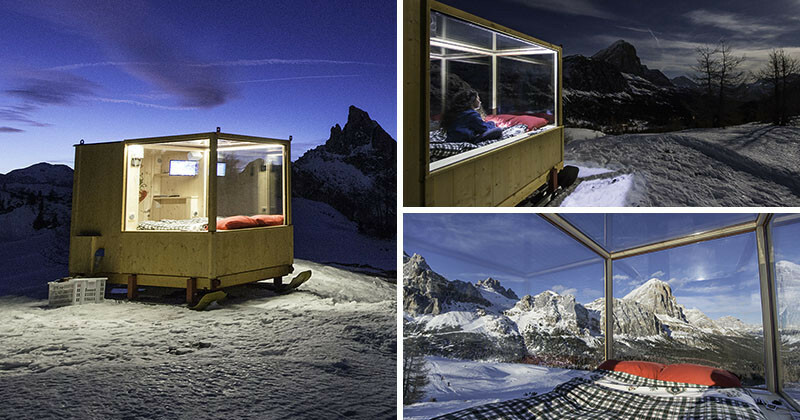 In the northeastern Italy, at an altitude of 6742 feet (or 2,055 meters), lies a single cabin on skis that you can stay the night in. 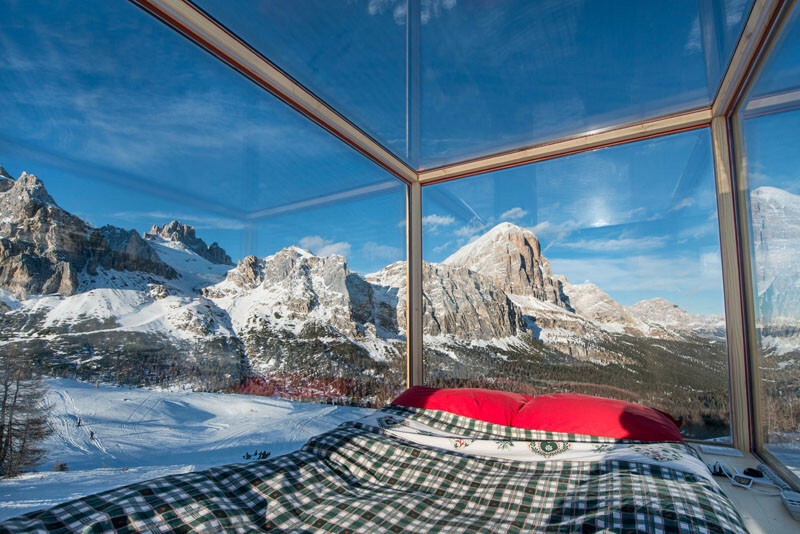 The Starlight Room has a front row view of the Dolomite mountain range. 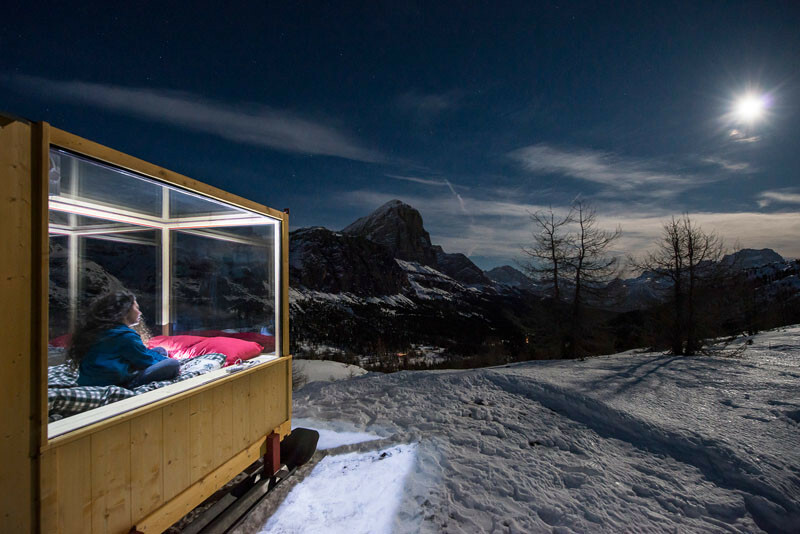 Located near Cortina, Italy, the Starlight Room offers guests a chance to sleep in the mountains in a room that has glass surrounding the bed. 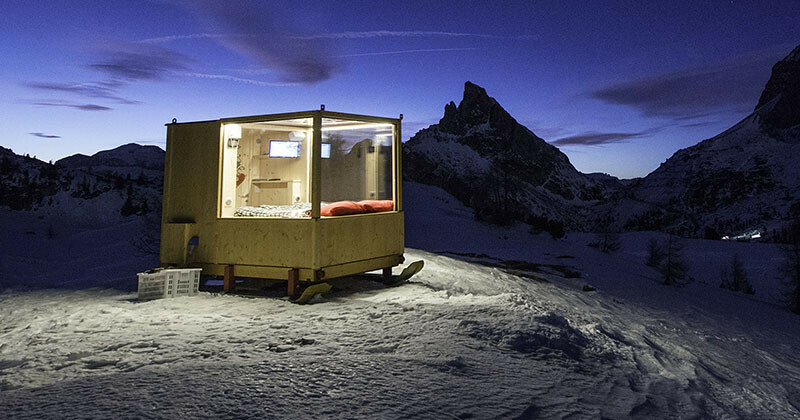 The little cabin, that sits on skis, was made by local artisans with local materials: wood, metal and glass. 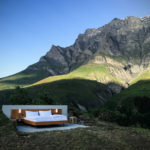 Inside, there’s an adjustable bed, so you can sit up and enjoy the view before lying down and enjoying the stars at night. 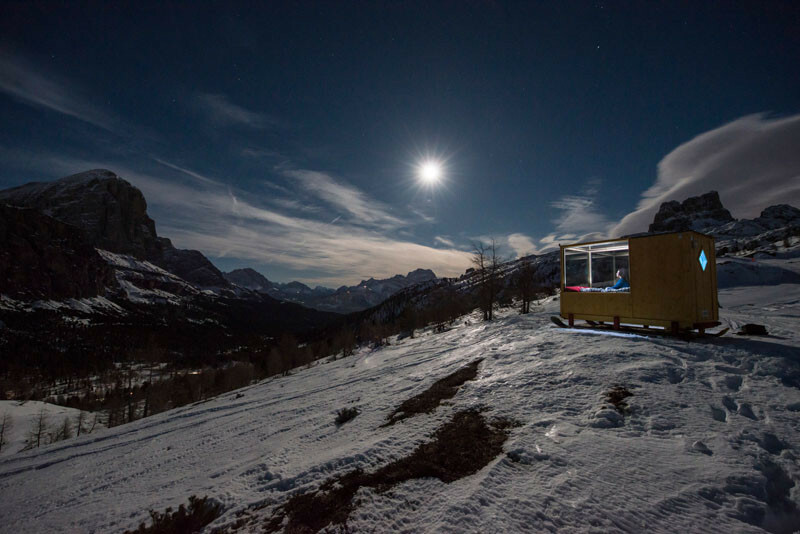 There’s also a flatscreen television that can play time-lapse images of the Dolomites. 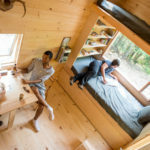 If it gets cold, there is a heater as well. 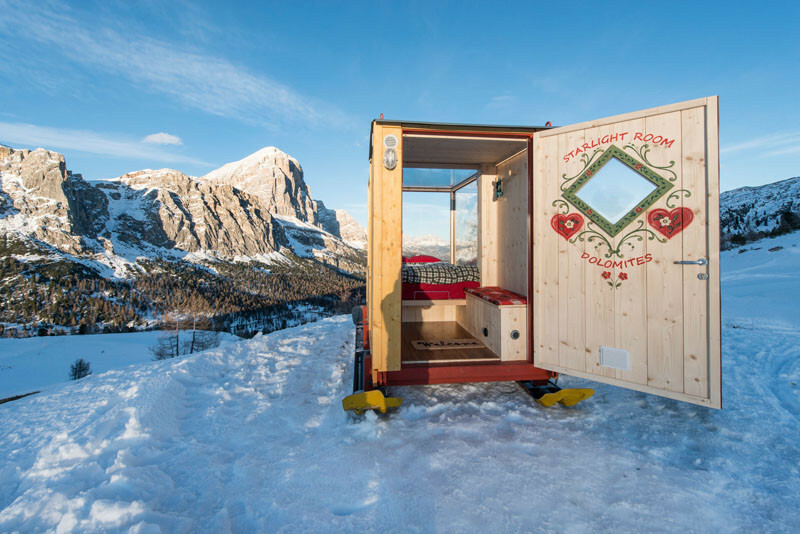 The Starlight Room can be reached by snowmobile or snowshoe, and it has a price of 300 Euro per night for two people (dinner and breakfast included). 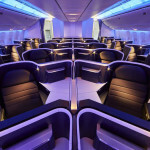 You can find out more about the room – here.